More than 150 bike riders participated in the second annual Kirwin/Murray Tour de Falmouth on October 14. We speak with the Director of the Steamship Authority about the plans for the new Woods Hole Terminal. 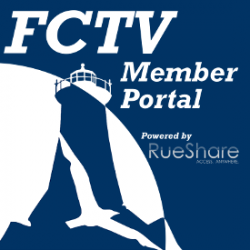 On Wednesday October 17 at 7 pm the Falmouth League of Women Voters, in cooperation with FCTV, hosted Candidates Night in the auditorium at Falmouth High School. If you would like to visit with Jane or some of their other equally lovely cats, come in to the shelter at 44 Beagle Lane in Teaticket. Open to the public on Wednesdays from 4 to 6 p.m. and Saturdays from 10 a.m. to 1 p.m. The goal of the water stations is to encourage people to use refillable water bottles instead of single-use plastic bottles. Through this effort, the water stewards hope to reduce single-use plastic bottle usage, reduce roadside and waterway litter and improve the coastal and marine environments. More than 200 cyclists pedaled across southeastern New England on Sunday to show their support for clean water during the Buzzards Bay Coalition’s largest-ever Buzzards Bay Watershed Ride, a scenic bicycling tour stretching from Little Compton in Rhode Island to Woods Hole. 6th Annual Emergency Preparedness Fair was sponsored by the Falmouth Fire Department and featured displays and information from local and state fire departments on preparing for and handling weather related and other forms of emergency's. Hydrants targeted for repainting this year are those located in or on Central Avenue, Davisville, Falmouth Heights, Jones Road, Woods Hole Road, Gifford Street, Trotting Park, lower Sandwich Road, Thomas B. Landers Road, Sippewissett and downtown. In 2019, they plan on repainting the fire hydrants in or on Quaker Road, West Falmouth Highway, Old Main Road, New Silver Beach, Megansett, Ballymeade and upper Sandwich Road.